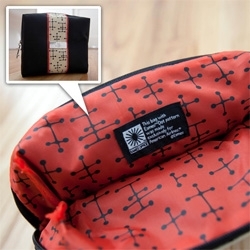 FEATUREDEames Office for American Airlines ~ lovely surprise to run into these Eames exclusive amenity pouches on American Airlines! 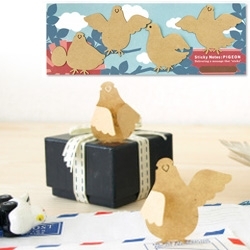 Too cute ~ their Dot pattern is inside, outside, and on the zipper pull! 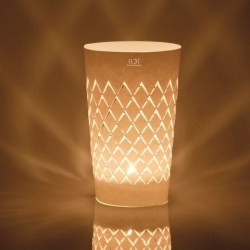 Upgeripptes, a traditional German 'Frankfurt Cider Glass' design turned into a striking tea light by Andrea Moseler. 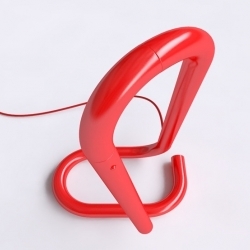 'Ligne' lamp by Ludovic Roth. 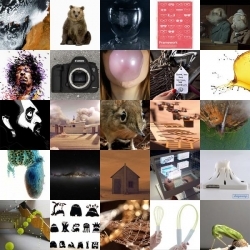 A look at the US as mapped by Craiglist postcodes created by IDV using a Voronoi algorithm. 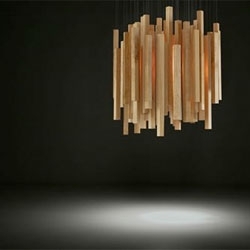 'Woods' suspension lamp by Hector Serrano for Arturo Alvarez. 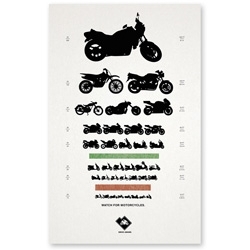 Designed by Salt Lake City-based creative director Gary Sume, this poster for the Utah Highway Safety office advises drivers to watch out for motorcycles. 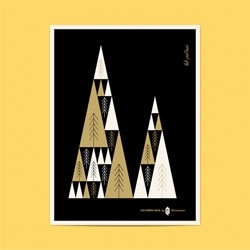 California Gold poster series and launch of the Lab Partners shop. 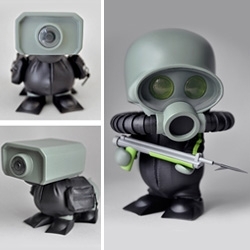 The latest Squadt limited edition - fr0g s001 and K11 spot. 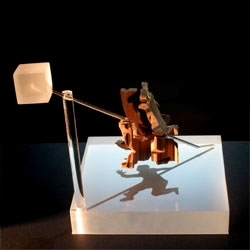 fr0g includes: wetsuit, tanks, flippers, spear gun, sMP5, tanto knife, 2.0 articulated and 'classic' arms and removable helmet. K11 spot includes: wetsuit with pouches, flippers, helmet. 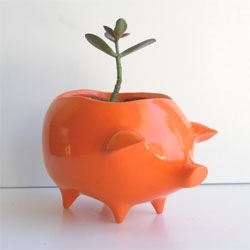 Adorable piggy bank style Ceramic Pig Planter by ceramic artist Wendy Alderman. 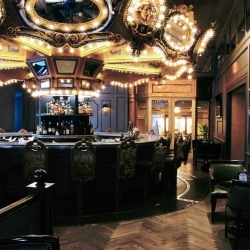 VIDEOGorillaz "DoYaThing" Official Video - featuring Andre 3000 and James Murphy! 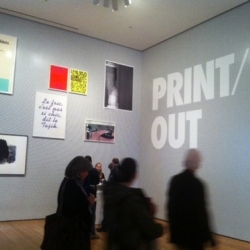 A Printeresting review of MoMA's new tour-de-force and hotly-debated Printmaking exhibition, Print/Out. 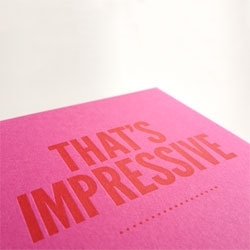 Let's talk about the future of print! 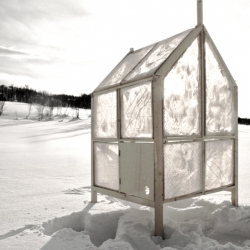 Frameworks. 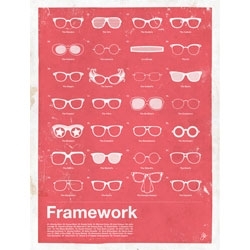 a poster capturing famous glasses from Moxy Creative. 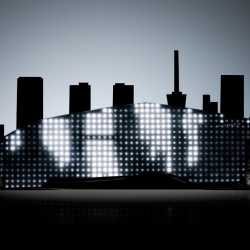 VIDEOA Mercedes-Benz + Canon 5D MKII + panel of LEDs = invisible car! 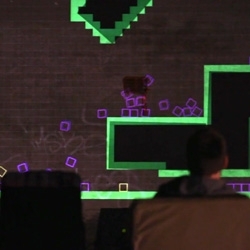 Great F-cell advertising that roamed germany for a week, love the reactions in the video! 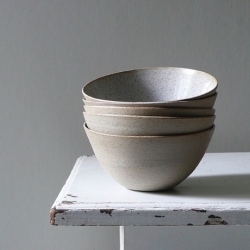 New video showing the amazing production process of UK porcelain artist Sue Paraskeva. 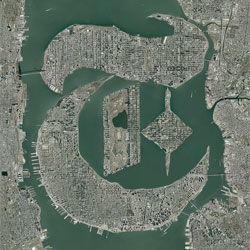 Lovely T magazine T by designer Olivier Theyskens, using the city of New York. 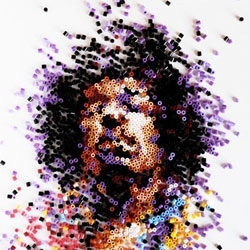 Playful portraits created from a wide variety of materials by Ian Wright. 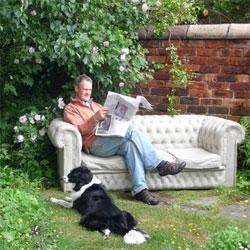 This three seater Chesterfield sofa is actually cast in concrete. 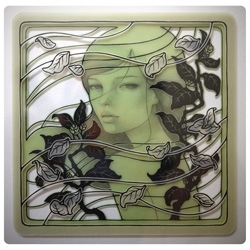 By Gray Concrete. 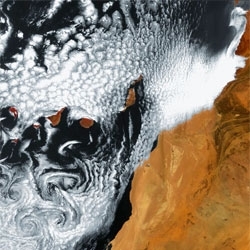 10 Years of Gorgeous Images of Earth From Space from the 8-ton Envisat satellite. 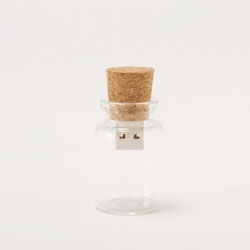 Hum Blank, a cute cork stopper USB memory stick. 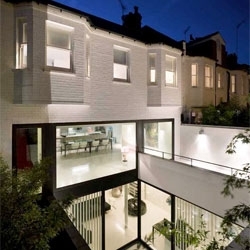 Mews 02 residence in London with a beautiful contemporary extension from Andy Martin Architects. 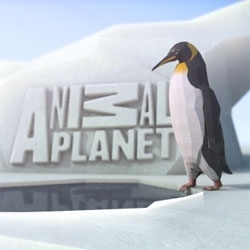 VIDEOCute new Animal Planet Identity created by Discovery UK creative in collaboration with Double G studios and Blue Zoo. 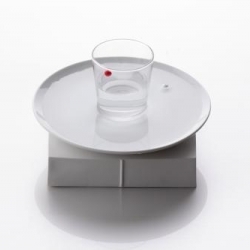 Kyouei Design's Water Clock displays time by floating the red and white balls in water poured into any plate/glass. 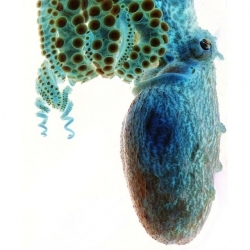 The Smithsonian Magazine recently unveiled its top finalists for its 9th Annual Photo Contest. 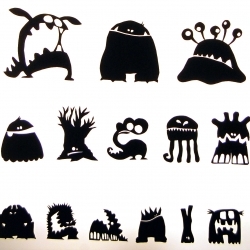 Monster hunter eye test; wall lamp made by Guus Oosterbaan. 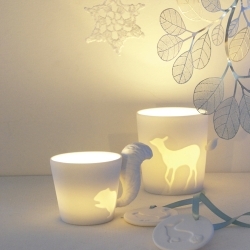 Beautiful Mugtail, designed by Kinto, can be used as a mug or candle holder to complete your fairy 'tail' story. 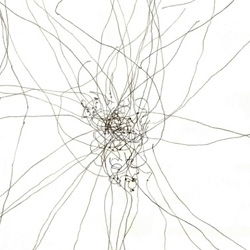 Embrace Stock - Wear stock line chart diagrams on your wrist. FEATUREDCowgirl Vegetarian Cassoulet and a trip to the desert to test drive the new Wabi Nabe cast iron pot from ODLCO. 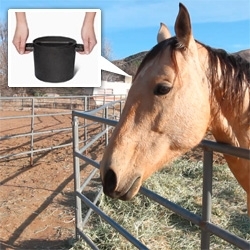 Complete with recipe, video, and horses! 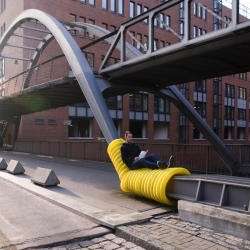 'Street Furniture,' a series of guerilla public seating areas created by wrapping yellow drainage pipes around existing urban infrastructure. 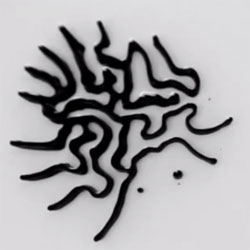 VIDEOBeautiful video of a magnetic field introduced to a shallow dish containing ferrofluid. 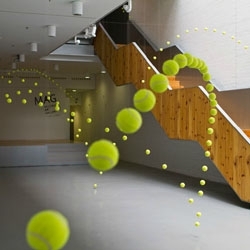 Ana Soler's fun installation Causa-Efecto (Cause and Effect) with 2000 tennis balls hung to look like they're bouncing every which way. 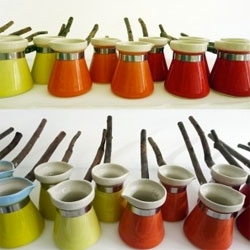 Colorful porcelain turkish-coffee pots with olive tree sprig handles made from santimetre porcelain. 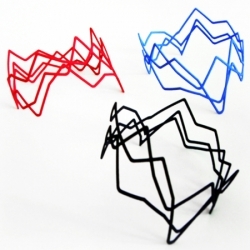 Designed and made by Tulya Madra & Firat Aykac. 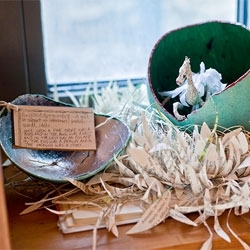 11 beautifully crafted sculptures, made from the pages of books, have been discovered across Edinburgh. 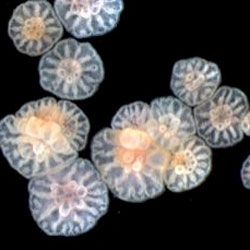 New research suggests that even fragments of embryonic corals can go on to form complete individuals. 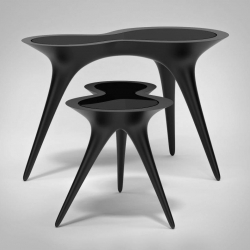 Black Ice tables by Timothy Schreiber. 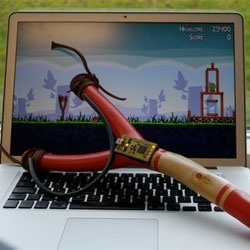 VIDEOThe mbed USB slingshot, a device you can make yourself and it looks like it'll make for a way more fun way to play Angry Birds. 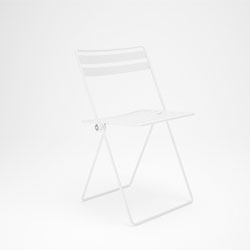 Coiled, a folding café chair that takes its name from the manufacturing technique used. 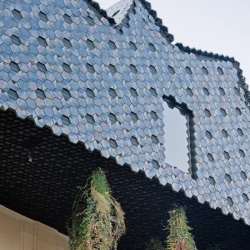 Designed by Studio Jenk. 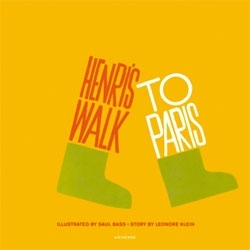 Beautiful children's book 'Henri's Walk to Paris' illustrated by Saul Bass with text by Leonore Klein is being reprinted by Rizzoli/Universe Books.